Sometimes it takes a guy’s utter confusion to make you wonder what women will try to look good. No matter how much I explained the reason behind the Magnitone Lucid*, Scott couldn’t grasp the idea. Eventually I settled on the graceful explanation of “it’s an electric toothbrush for your face, flannels are like manual toothbrushes. So this is better. Comprende?” Which is basically true, but what a strange concept eh? 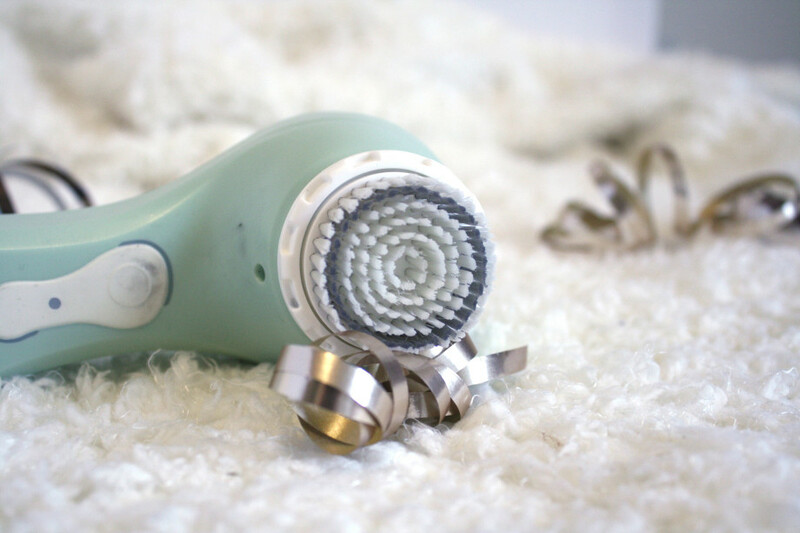 I’ve wanted to try a facial brush for a while, seeing as they are one of the most raved about beauty tools of the blogger world, GHDs being the other. There is quite a few different brands out there, ranging in price, and the Magnitone is pretty mid-range price wise at £69.99. According to the website, the Lucid uses Active Electromagnetic Technology (nope, I don’t get it either) to pulse at over 10,000 times a minute, unclogging pores and brushing away dead and dry skin to give a clearer complexion, as well as prepare skin for the better absorption of products. The Lucid has two modes, deep clean and sensitive, and the way it works is that you turn it on, clean one section of your for 20 seconds, at which it beeps and you move on to the next section of your face, until all three sections (cheek, cheek, forehead) are done and it switches off. I wish there was a 10 second mode for the nose, if I’m being picky. It comes in four colours and is completely waterproof. You can use this either with cleanser, or on it’s own, and it can be used to remove your makeup if you want to. My Magnitone routine goes something like: remove makeup using remover and flannel (you can see which removers I use here), reapply face cleanser, Magnitone the hell out of it and then wash off before cleansing the Magnitone brush and leaving it to dry. I only use it at might, because I don’t have time in the morning, and I don’t use it every night, depending on a) how lazy I am feeling and b) whether I’m using a deep exfoliating treatment. Using the brush can feel quite weird, it’s not at all painful or uncomfortable but it can be itchy (especially on your nose). I’m always worried, and I’m not sure why if I’m honest, that using it near my eyebrows will pull the hairs out. I can’t escape the feeling, so I brush it very carefully around my brows. I personally wouldn’t suggest using it to get rid of your makeup, as the brush will get grimy very quickly, and I think that you get more out of it using it with a cleanser or face wash than on it’s own as it pushes it into your pores for a deeper cleanse. Using it alone will provide a good exfoliation, but why just exfoliate when you can exfoliate AND cleanse? Precisely. Since using my Magnitone, I’ve definitely noticed an improvement in my complexion. My blackheads on my nose are practically invisible, I’ve never had a huge pore problem but now I barely have pores, and my forehead doesn’t get those irritating little white bumps anymore. It’s not made a difference to my monthly cystic outbreak if I’m honest, but little red blemishes definitely don’t pop up as often as they used to. Overall, my skin is a lot smoother too, due to the exfoliation. I like the design of the Magnitone, it’s easy to hold, genuinely waterproof enough that it can be taken in the shower, and it only needs charging every two weeks. The charger is neat too, it’s magnetically attracted rather than a plug in. One thing I’ve noticed is that, when wet, the brush fires out water like a water canon. This isn’t particularly annoying, just don’t stand close to the mirror when you use it. The age old question; would I pay for it? 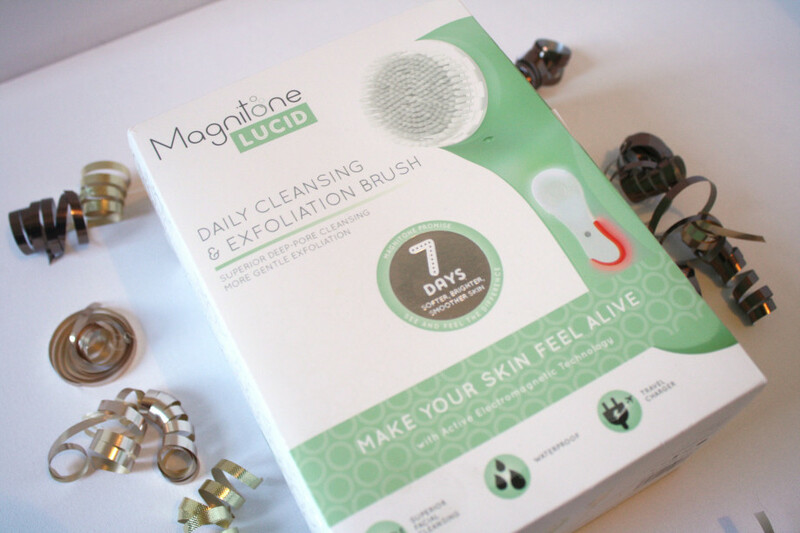 I was lucky enough to get a discount to buy mine so I didn’t pay the full £69.99, and I think if I had no experience of using the Magnitone I would say that it’s not worth paying for, but now I have used it I do think that you are getting a product worth paying for. If you suffer from blemishes, dry skin, blackheads, whiteheads, or dull skin, your skin will benefit from a Magnitone. But it’s a lot to pay out. So my advise would be, if you can afford it, buy it. If you can’t, put it on your birthday wishlist, or if you’re desperate to try it now, get a cheaper alternative until you can afford the real deal. 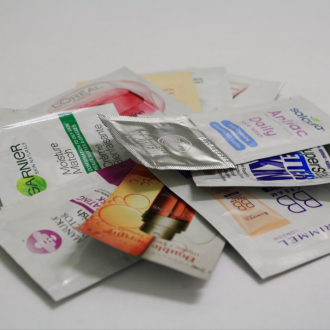 What weird and wonderful products do you use in your beauty regime?